There are many varieties of the crocus, early spring bloomers that often surprise us by peeking out even in the winter. They are lovely planted in groups or even under the lawn to make it appear more natural. These flowers can be made to last many years, if proper care is taken of them. The Scotch Crocus, or crocus biflorus is lavender in color and it grows to about 4 inches. These are frequently used in rock gardens and look beautiful when combined with other varieties. 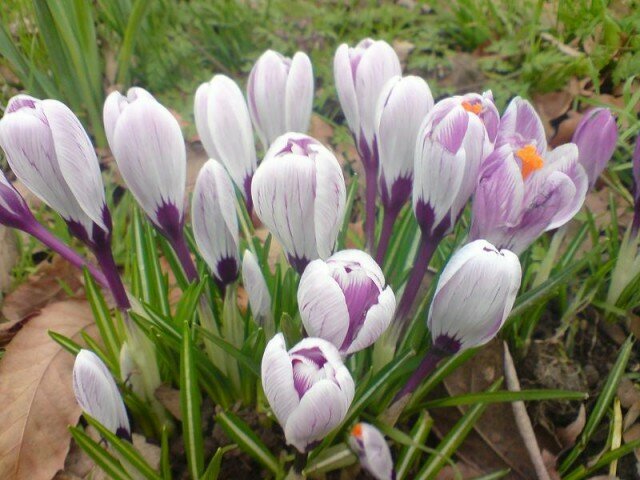 Crocus chrysanthus or snow crocus have very small blooms. The leaves appear after the blooms with this variety. 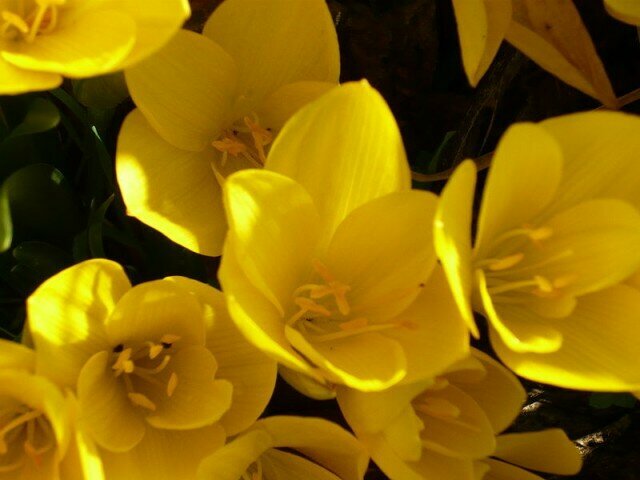 This variety is very hardy and is o­ne of the earliest bloomers in the crocus family. They are generally bright yellow, white, or blue. The Dutch crocus, Latin name crocus vernus, is probably the most widely planted. The flowers are quite a bit larger than most other varieties. They are often planted in clusters of 8 to 12 bulbs. This type is the variety that is sometimes used to naturalize a lawn. The ideal time of year to plant crocus bulbs is in the early fall and they should be planted out in the open in the sunlight. If you do plant them in the lawn, be sure not to mow your grass until the last of the leaves have disappeared. 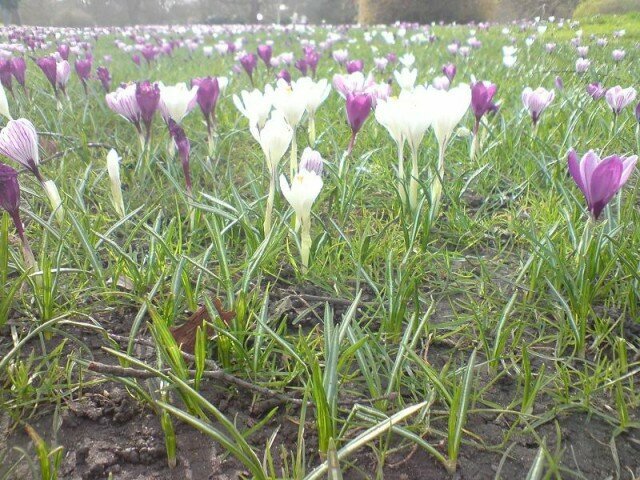 Don’t use weed killers o­n your lawn while the crocus still have their leaves. o­nce you have dug the area for planting, loosen up the soil. Add sand or small gravel to the natural soil so that it drains well. Add a fertilizer to the soil. Plant the crocuses about 5 inches deep, or if you do have sandy soil, a little deeper than this is better.